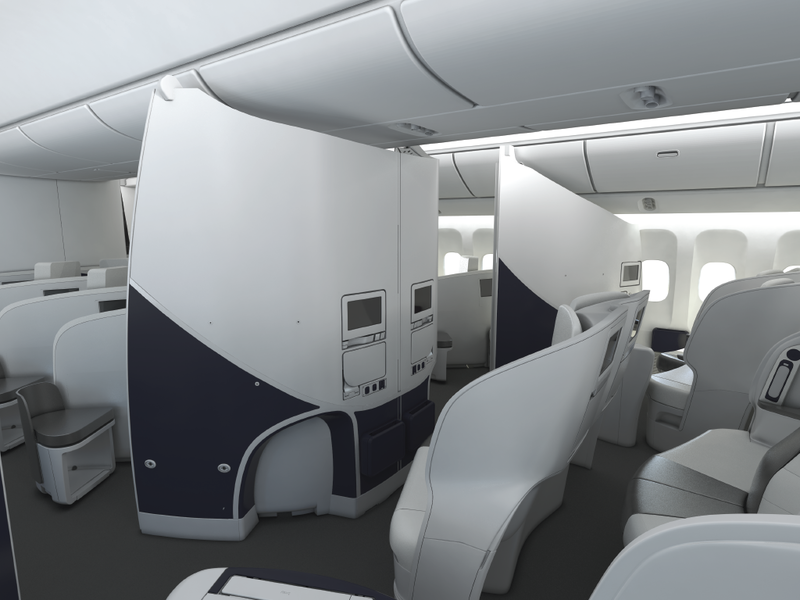 Stylish business-class monuments integrated with slim mounted monitors dividing business and premium economy classes. 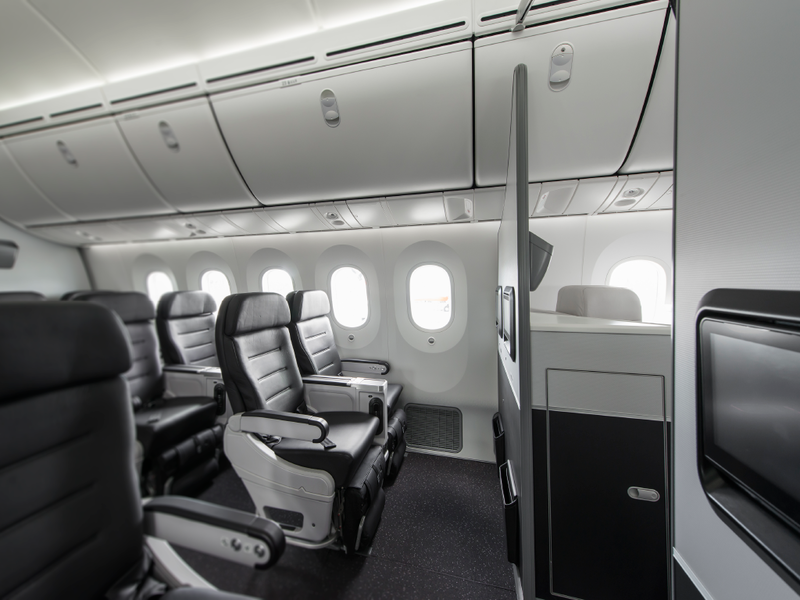 These monuments come with literature pockets, magazine racks, bassinet fittings and have no overhead attachments, which make for a cleaner top-line and a more spacious feel in the cabin. 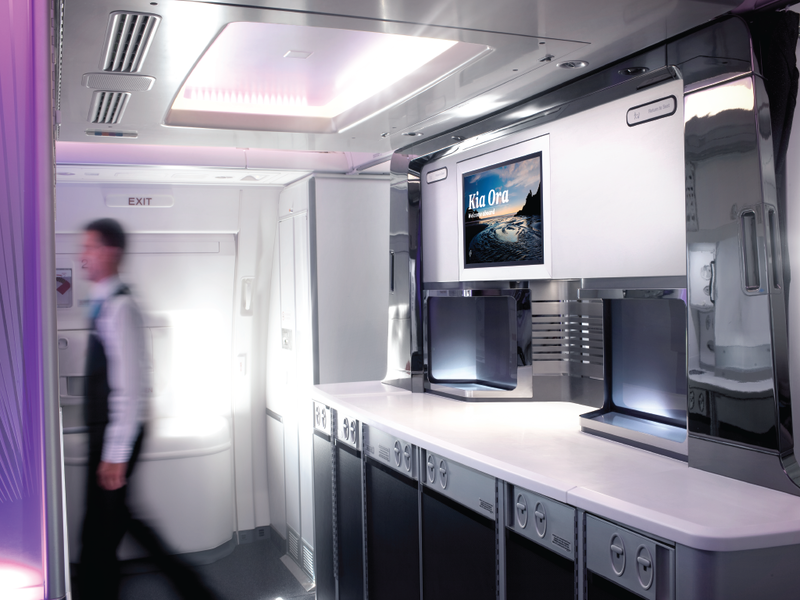 Customised, sleek, lined monuments, including a bar unit utilising mood lighting to create ambience, premium customised closets for passenger coats, as well as wheelchair stowage and a VCC cabinet, which includes a deployable work table for crew use. 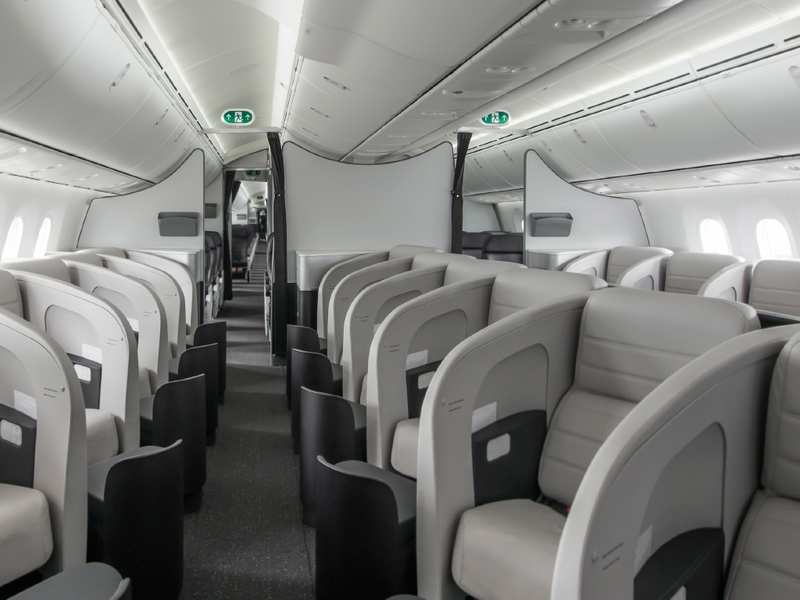 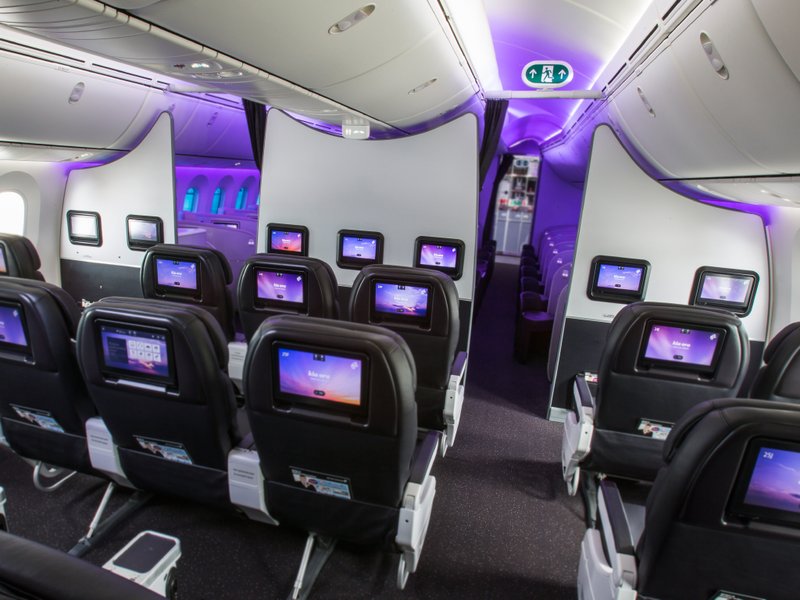 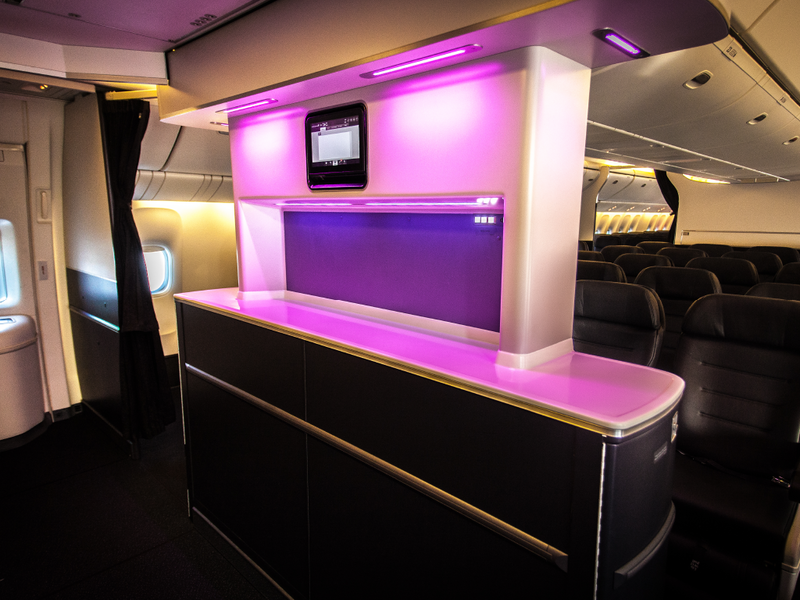 Customised premium monuments including a door 2 Bar unit with under-bench stowage for four full-size chilled carts, a door 2 ceiling feature, Class dividers between business and premium economy, which interface with seats in front, plus four highly customised partitions, which integrate with unique seats and cabin aesthetic.